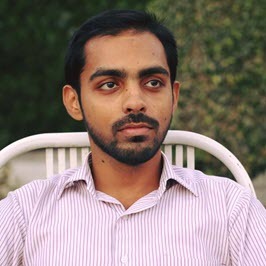 I live in small yet famous city of Bahawalpur, Pakistan. Technology has always inspired me and what Microsoft is doing in this era is purely amazing. Microsoft Technologies, tools and products have always inspired me. I was a Microsoft Student Partner from 2013 to 2015. I was one of the winners of Learn for Success Contest, which ran in 5 countries and I was awarded with internship at Microsoft office in Developer Experiences group (DX) in Islamabad office. Coding has been my passion ever since.. I've started software development from C#. From Console to Windows Forms to WPF to UWP. Now I'm working on ASP.NET MVC 5 as part of my job and UWP + Xamarin + Azure + .NET Core as part of my passion. Besides coding, I always loved speaking in different community conferences, workshops and sessions around different technologies. I'm known as the Microsoft guy in my community and I love to help people and serve community around Microsoft stack and all that I know.